Just how do you sort chicken eggs by their size. Using a ruler or caliper? 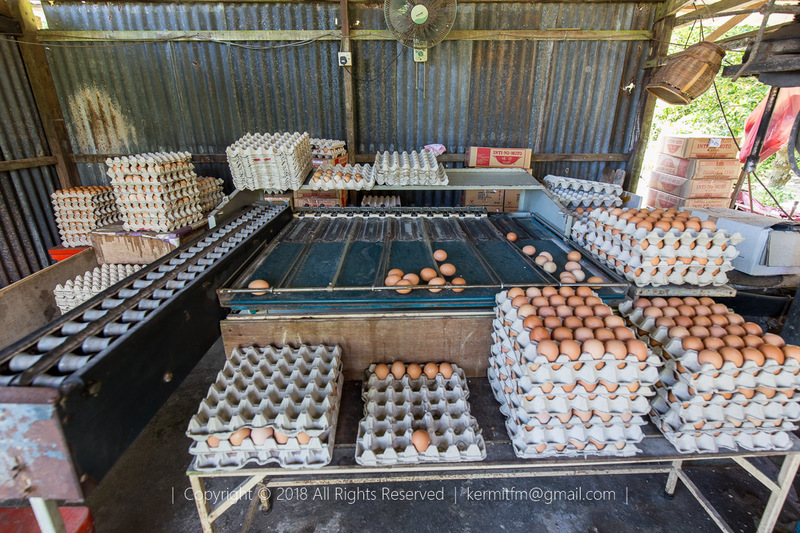 I visited a small farm recently and they have a machine that automatically sort eggs by weight and size. The farmer set the egg on the left hand conveyor ramp, It then rolls down the ramp and then down the rails at the back of the sorting table. The eggs will trigger levers which will allow them to roll down the each of the division on the table. The levers are triggered based on the weight of the eggs. The heavier ones will release the gate earlier, on the leftmost row. If it is lighter, it will roll along the back ramp until it hits the lever which matches it’s weight. Everything is mechanical. I guess routine maintenance is just dusting the machine and oiling the levers. You probably cannot get fresher eggs than this unless you get it from the hen’s nest. SZB is the airport identification for Subang Airport , the full name being Sultan Abdul Aziz Shah Airport. It serves mainly domestic flights with a few international flights to Indonesia, Thailand and Singapore. It was built in 1965 and started as the International Airport in Kuala Lumpur. The primary international airport gateway moved to Kuala Lumpur International Airport (KLIA) in Sepang in 1998. The photo was taken at dusk from the viewing gallery. 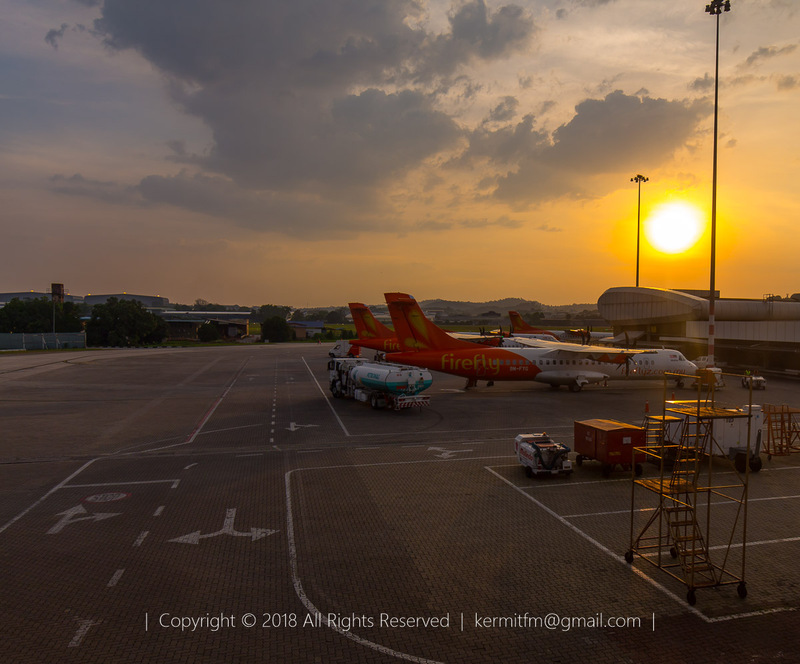 The 3 aircraft are ATR 72-500s operated by by Firefly, a subsidiary of Malaysian Airline System (MAS). 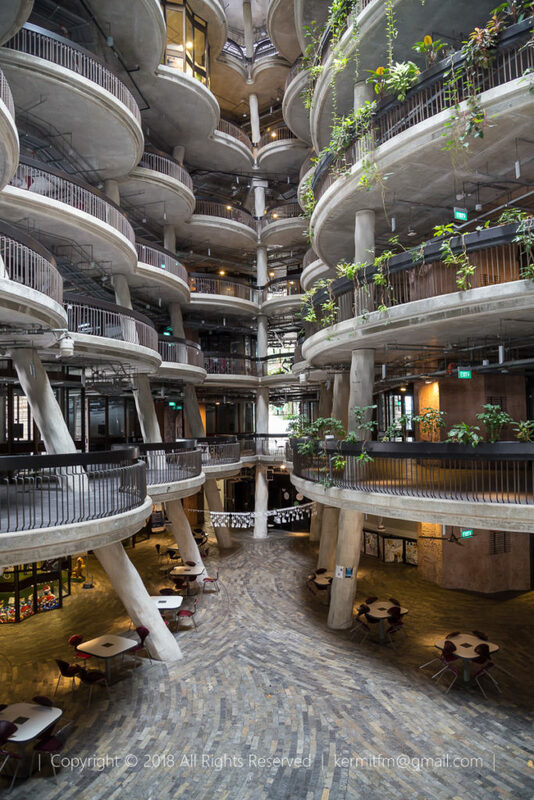 The Learning Hub called the Hive is an iconic building found in the National Technological University of Singapore Campus. Designed by Heatherwick Studio of England, it was completed in 2015. 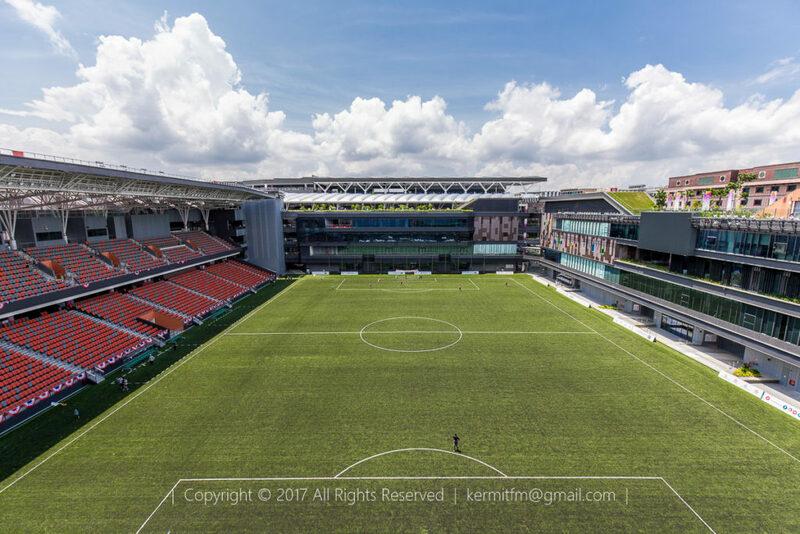 The Hive was awarded the BCA Green Mark Platinum Award by the Singapore government which is a benchmarking scheme that incorporates internationally recognized best practices in environmental design and performance. The interior of the Hive is just as interesting, if not more, than the exterior. It is a must visit place for architects who want to see how interesting material selection and interior design for green buildings can have a striking and winning result. A dusk shot of the city. Taken from the SwissHotel Singapore, it looks south towards the Bay Area. 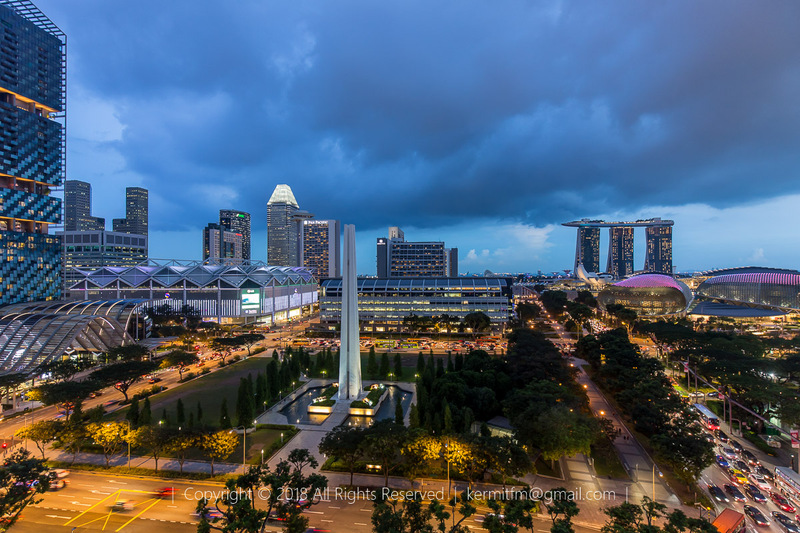 At the far left, we see the iconic three-towered Marina Bay Sands, a skyscraper designed by Moshie Safdie. On the left is the newer South Beach complex, designed by Foster + Partners, which houses the JW Marriot Hotel. Front and centre is the War Memorial Park. The memorial is a 61m structure comprising 4 columns representing the 4 races and joined at the base to signify unity. This structure is fondly known as “The Chopsticks”. 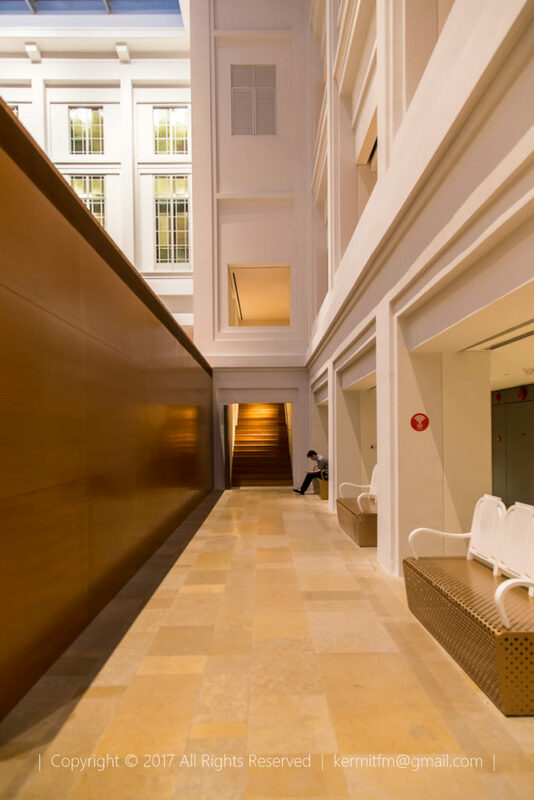 This area is part of the Singapore Civic district where visitors can view restored buildings which were a part of modern Singapore. 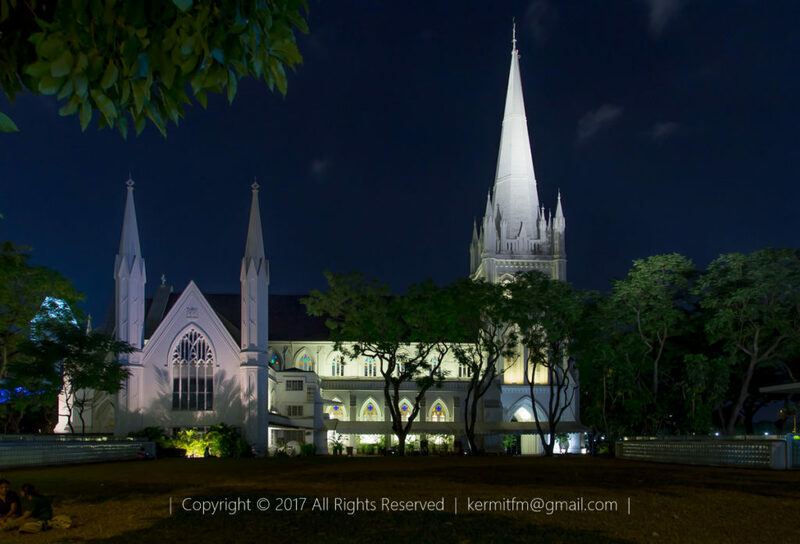 St Andrew’s Cathedral is the oldest Anglican Church in Singapore. The Cathedral replaced the Church of St Andrew which was considered unsafe after being struck twice by lightning. The Cathedral was designed by Lt Col Ronald MacPherson in 1856 and was gazetted as a National Monument in 1973. The cathedral replaced the Church of St Andrew which was considered unsafe after being struck twice by lightning. Christians still gather in the building, which is situated in the CBD and part of the Civic District. You will also find the serene grounds of the Cathedral an oasis of piece and quiet in the busy city centre. 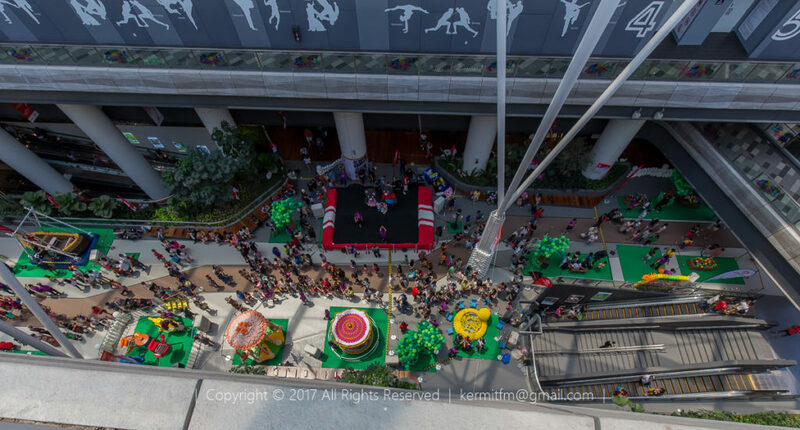 Our Tampines Hub is Singapore’s integrated community and lifestyle hub. Beside a sports stadium which sits 5,000 spectators, there are swimming pools, sports hall, gymnasium and even a 1km jogging track on the 5 storey. Not that active? 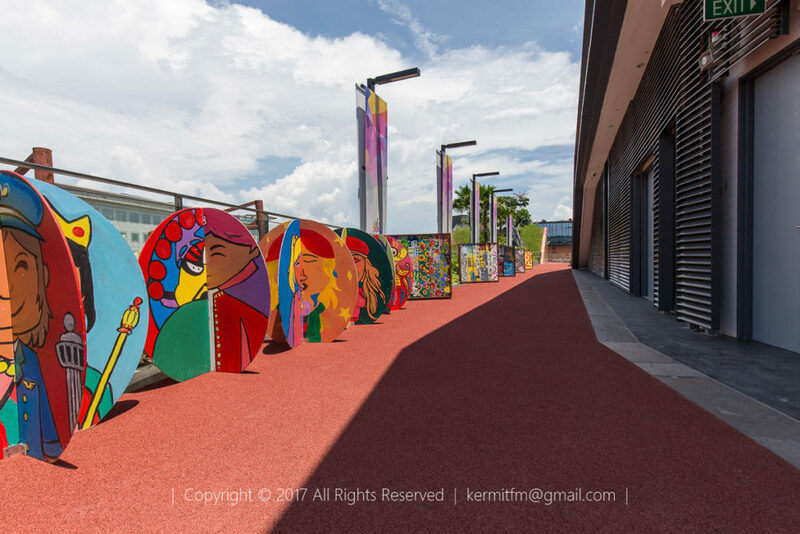 The Tampines Regional Library can also be found there. And of course, catering to Singapore favourite pastime, there are food outlets, food court and a shopping mall. The National Gallery many open public spaces and is a good escape from the buzz and business of the CBD where it is located at. The many rest areas are conducive for resting, reading, meditating and of course, waiting. 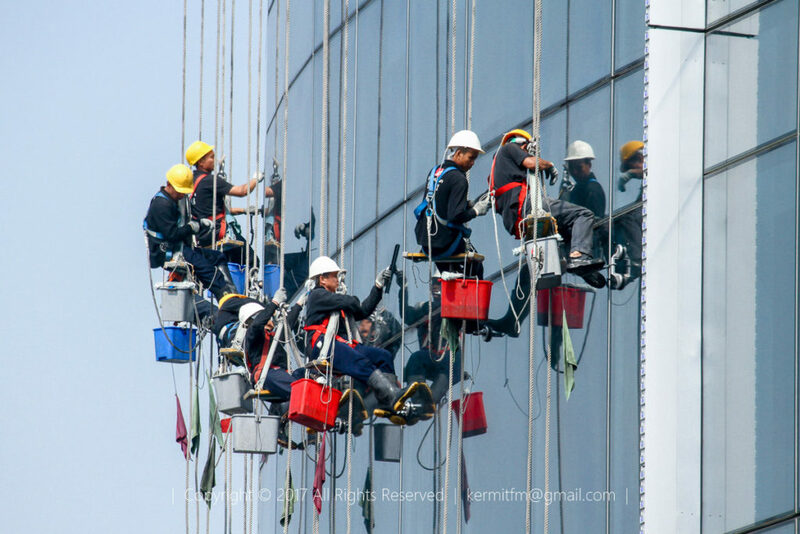 A line of window washers hanging from ropes. I guess this is more efficient than a gondola? 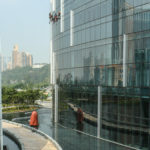 A building gondola could perhaps hold 3 cleaners and it could be dangerous to have multiple gondolas operating side by side. See if you count the numbers of cleaners in the line. To give context to the picture the smaller pic below shows a wider angle of the area where the cleaners are working at. This windows belongs to the Hard Rock Cafe Hotel in Macau.